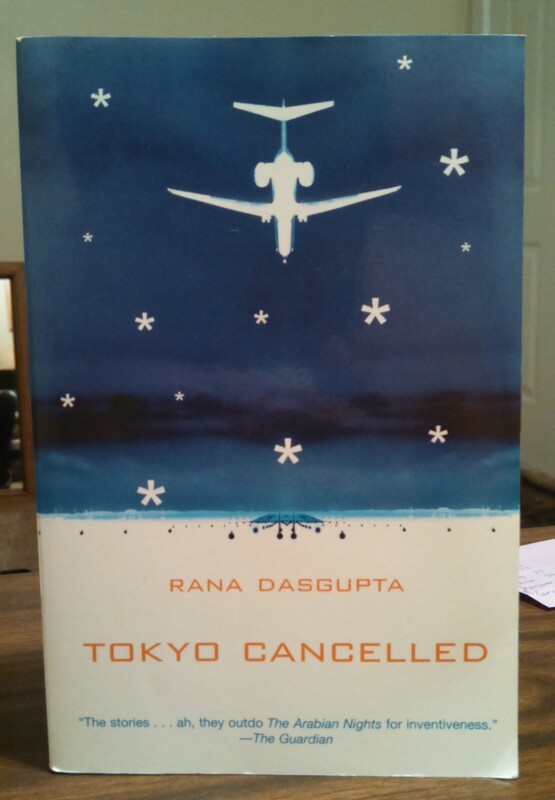 After being recommended to me by a friend, I just finished reading Rana Dasgupta’s Tokyo Cancelled (Black Cat Press, 2005). Checking out the reviews online, though, there seems to be contention as to whether it fits the standard definition of “magical realism” or (something I’ve only now discovered) “irrealism.” Of course, a distinction like this means nothing to most readers, but it’s the difference between Calvino and Kafka. Both engage in fantasy, but Calvino allows the reader to attach themselves to the story according to an internal logic; Kafka allows as much only to undermine it. The short stories of Tokyo Cancelled drift between both. Made up of thirteen tales, the book is named for the frame story that holds them together. The premise is that, in a nondescript airport, a connecting flight to Tokyo is cancelled due to extreme weather. Unable to make accommodations at nearby hotels, thirteen gather and decide to entertain one another through stories. Called a modern Arabian Nights, Dasgupta’s work is contemporary and global yet draws upon the tropes of folktales and myth. Here a trapped sailor coughs up a dove that wanders off to inform his waiting maiden, an old man in quarantined Paris has a garden growing inside of him, poking through his flesh. Magical oreos turn a woman into a clothing boutique that threatens the local Chinese cartel. These stories are weird, but they’re also (surprisingly) moving. Searching for interviews with Dasgupta, I came across the following from The Guardian (published when the book came out). His explanation on why he staged his story in a common airport with common people is thoughtful and worth sharing. Additionally, here’s his defense of merging folktales and fantasy with the every-day and modern. Perhaps this is how we all ought to engage with reality. (I see here glimmers of Adorno and Horkheimer’s “disenchantment of nature”). If you’re looking for a good book the next time you’re stranded in the airport, pick up Tokyo Cancelled. Either do that, or tell stories.